The Breitling Watch Blog » Omega Seamaster – Chronograph or Standard Model? 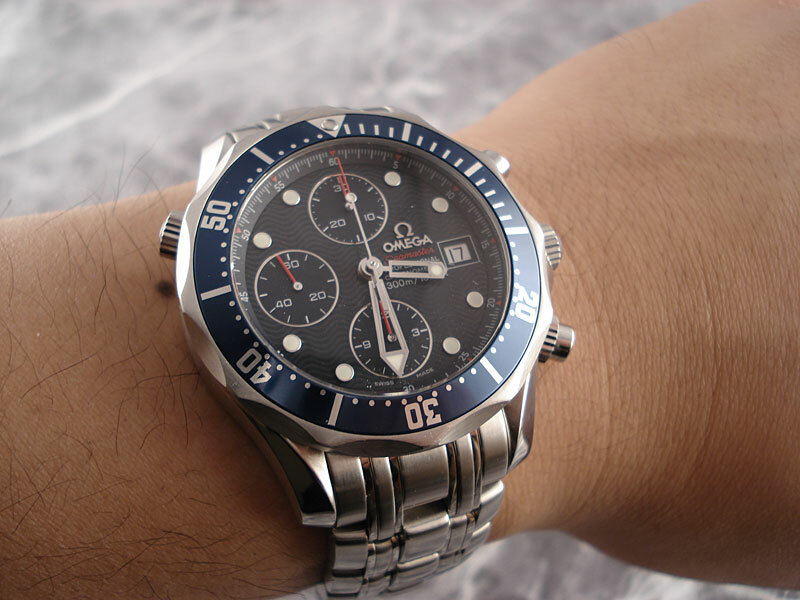 Omega Seamaster – Chronograph or Standard Model? Faced with the decision of whether to purchase the Omega Seamaster Chrono Diver or the standard Omega Seamaster Chronometer, I ended up with both of these models. They are both wonderful watches, with an understated look compared to that of the Breitlings that I am used to wearing. Most of my friends that see the Omegas think they look bland and not worth their money. I say they are classic icons that stands the test of time. I’ve taken several pictures of them together for comparitve reasons. 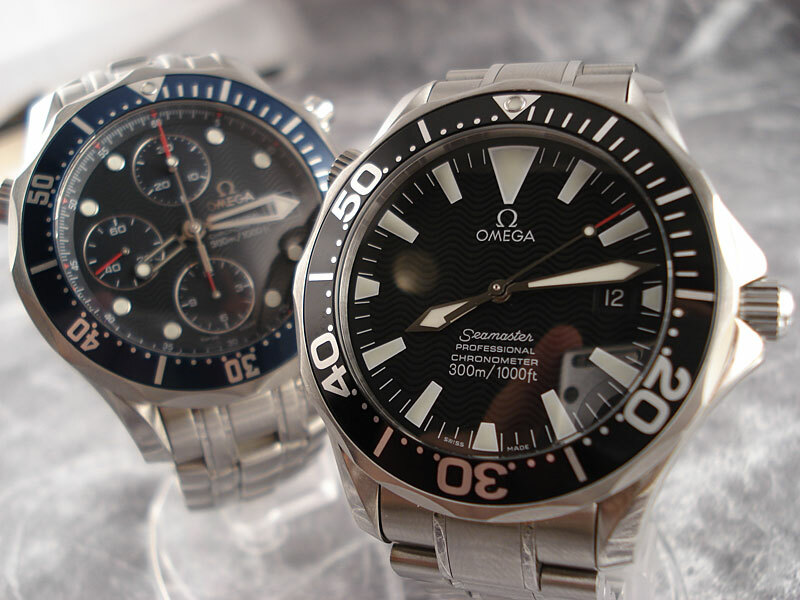 The Seamaster Chrono I have is the Bond version, while the standard model is the Black dial/bezel with sword hands. I like the more dramatic contrast of the black dialed Seamasters, but the Bond seamasters seem to be more popular. The bracelet on the Bond model is also a bit more busy, and the watch overall has a busier look, partly due to the subdials. 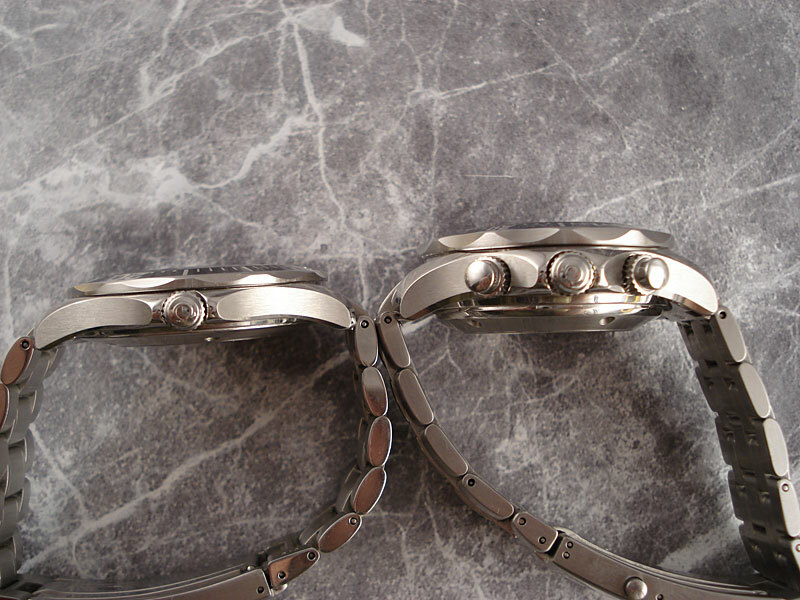 As you can see from the above pic, the Seamaster Chrono (right) is MUCH thicker than the regular one. The bezel is thicker, the back is thicker, and the case is thicker. The feeling on the wrist is quite different between the two. 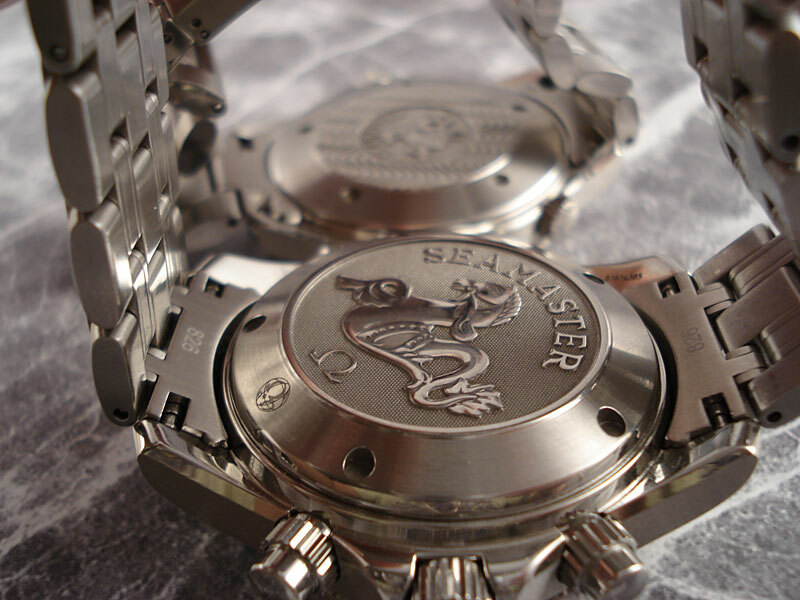 The Seamaster Chrono, which is the one in the front, has a newer style back with the Omega monster logo in super-size. The standard model has the older style back, and I’m not sure if it is because it is an older model or because they just have not changed the back on those yet. I haven’t seen any of the new style backs on the standard Seamaster 300m yet. So, as you can see they are acutally quite different watches, more than simply the same watch but one with the chronograph. Both are certified COSC Chronometers, and use modified ETA movements. Both are beautiful watches. The black one is actually pretty awesome. I think Seamasters are some of the coolest watches on the planet. Speaking of, a Planet Ocean (orange bezel w/steel) is high on my list. I’d like them all so I don’t blame you for getting them both! Enjoy them. Hi, what about the seamaster chronograph and its resale value? do you think it is an investment?? I would not consider most modern watches as good investments. is omega better than breitling…? i mean seamaster better than breitling superocean? I have seen different prices for the Seamaster Chronograph. Same watch, but sometimes the price differences can be as high as $800.00. I am looking to purchase one and I have seen 2 in Chicago watch shops one for $2,300.00 and another for $3,110.00. I’m not sure why the discrepencies in prices? It might be the configuration.. 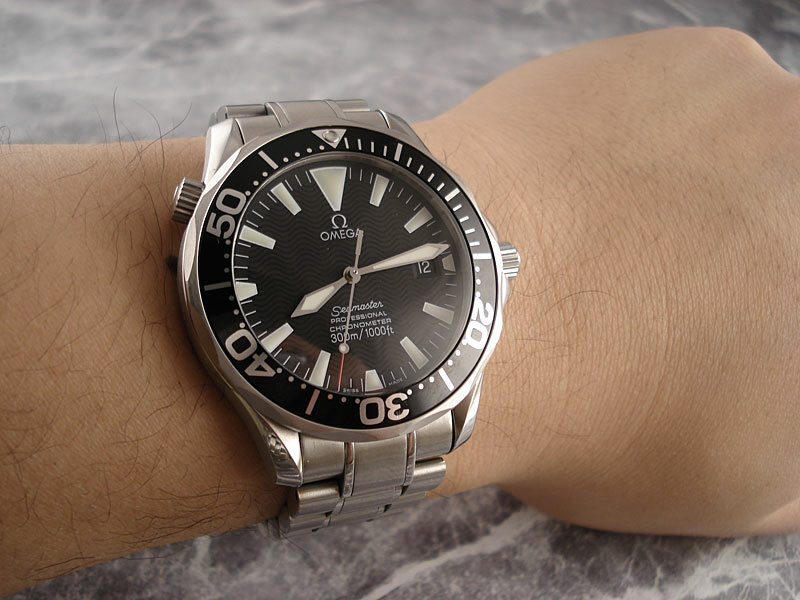 There are several different Seamaster Chronos.. the 3,6,9 subdial and the 6,9,12 as well as the Titanium models, etc. If they are identical, then there is no other reasons besides one place just trying to charge more I would guess. 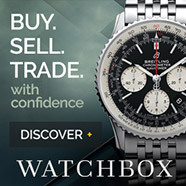 I am an avid watch collector and can find good points with Breitling and Omega both. They both are very nice watches, both made with a style, fit and finsish like no other. I honestly think it boils down to personal preference. Omega is iconic, it’s design and style very recognizable and a great investment. The same can be said for Breitling. I am just glad that there are others that can appreciate a fine time piece. Like anything else, you do get what you pay for. Good on you my friend. so which one is more comfortable to wear? is there a big difference? They’re both comfortable, but the standard non-chrono is more comfortable because of its lightness and low profile.